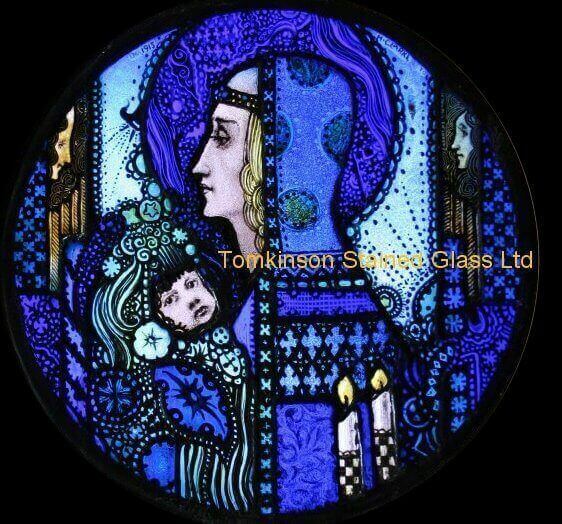 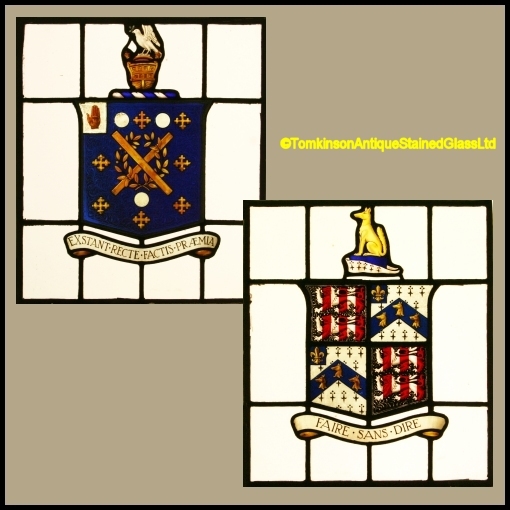 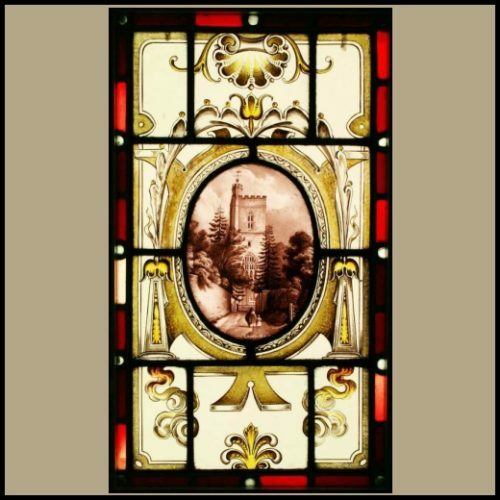 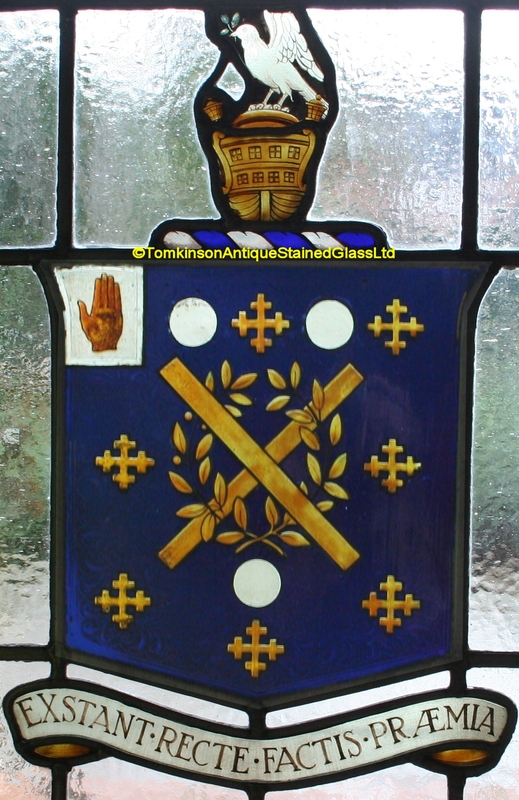 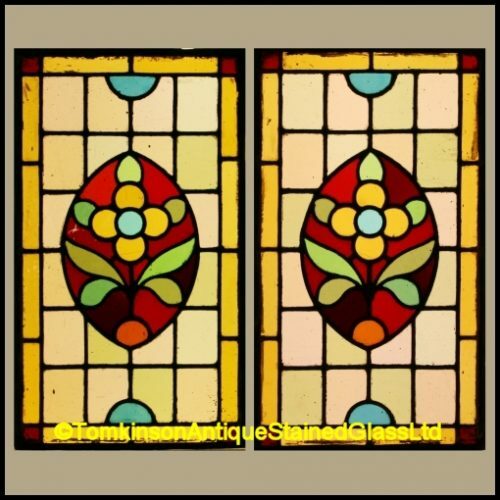 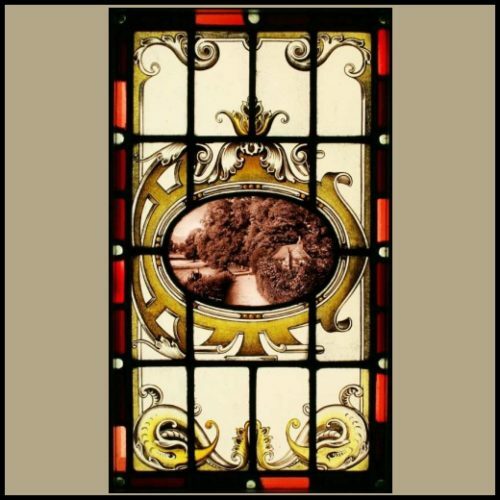 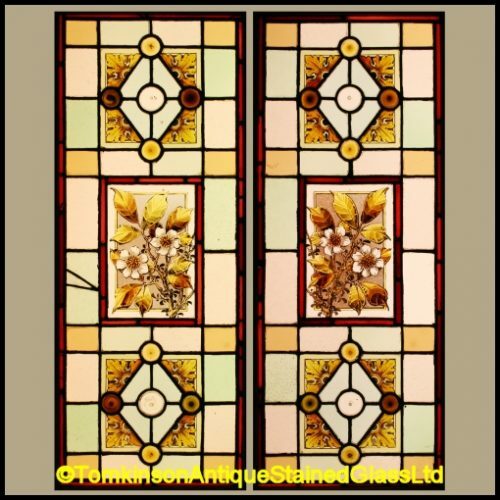 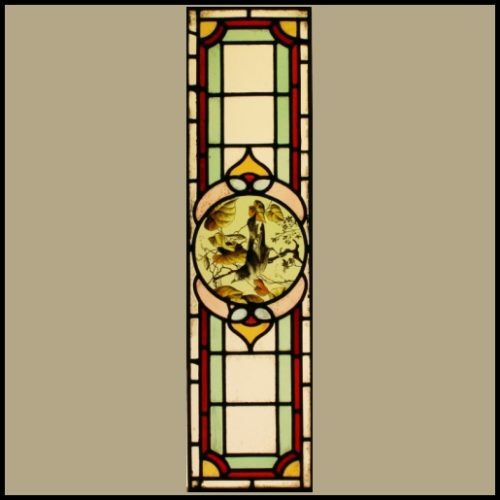 Two Antique Edwardian stained glass windows c 1905, both leaded with acid etched central hand painted coats of arms. 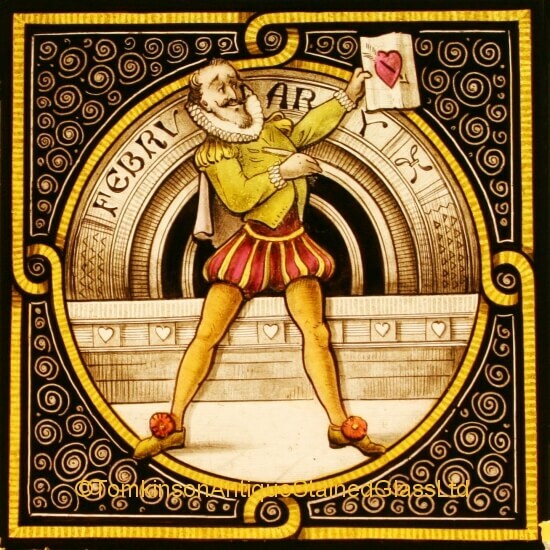 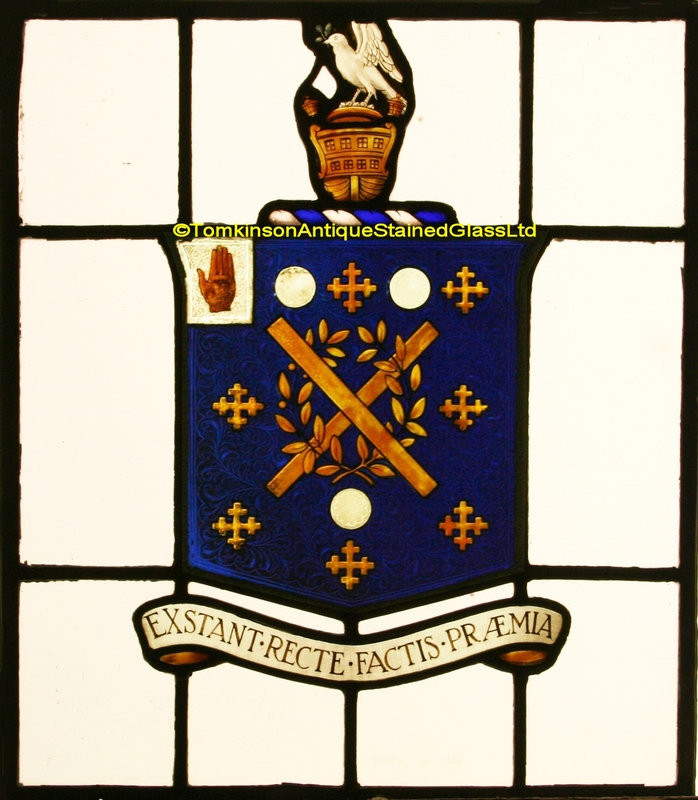 First, below the shield is a scroll with the Latin inscription “Extant Recte Factis Praemia”, meaning “Rewards Exist For Right Actions” above is a dove holding an Olive branch. 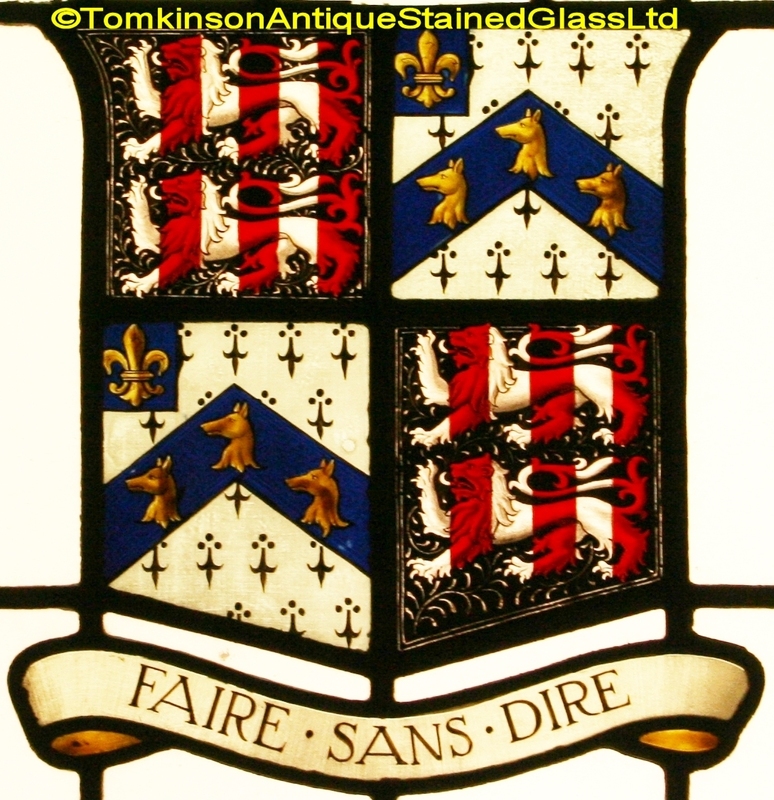 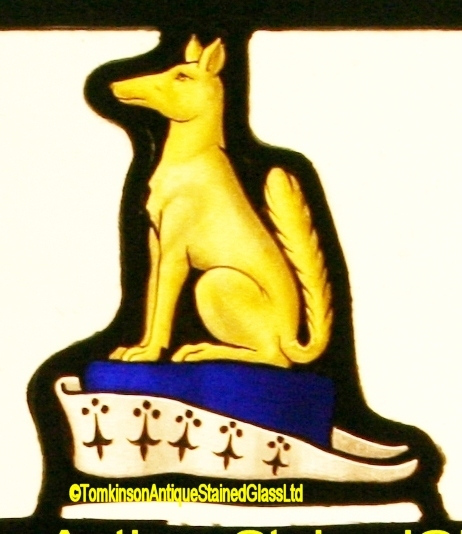 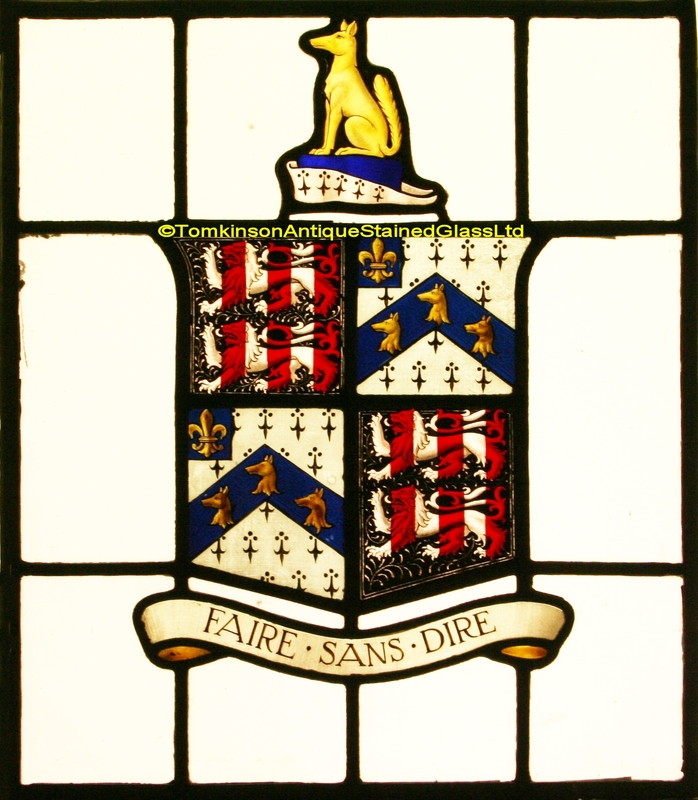 Second panel has the inscription “Faire Sans Dire” translates to “”To Do Without Saying” and above the shield is a dog sitting on an Ermine hat, the surrounding glass is obscure “Cathedral” glass. 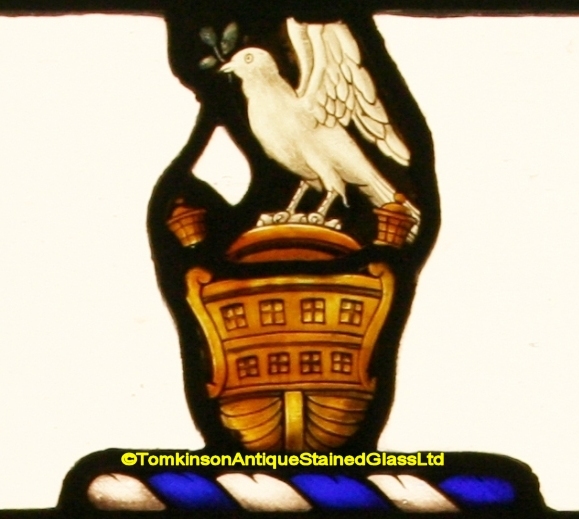 Super quality and in excellent original condition, hanging loops are attached so can be hung at a window.